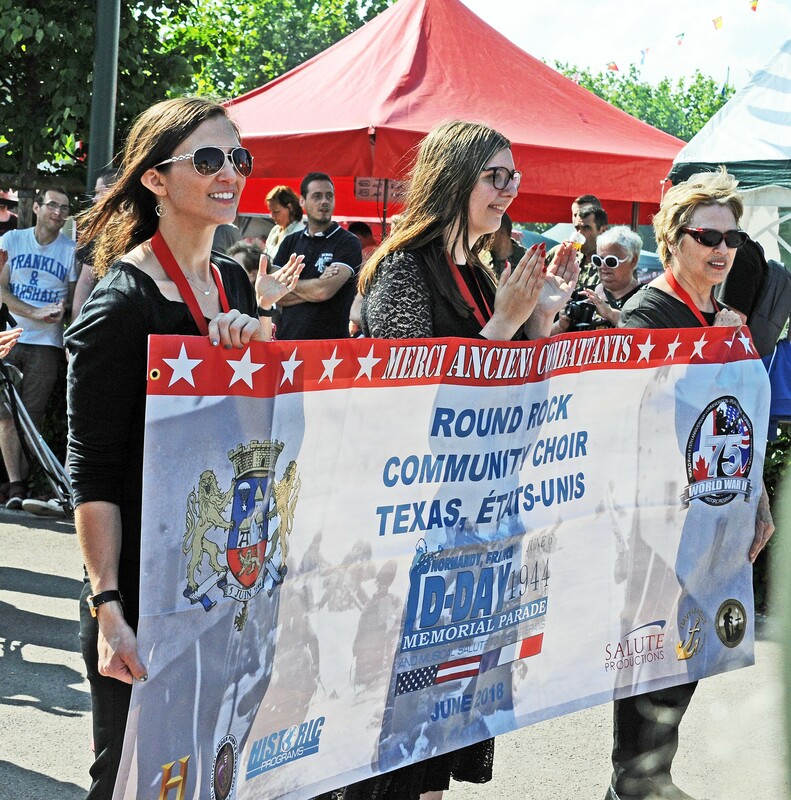 Members of the Round Rock Community Choir had the extraordinary opportunity to honor our war veterans this year as part of the D-Day Commemoration Parade and Memorial Ceremonies in Normandy and Paris, France. Nearly 100 choir members represented the United States as musical ambassadors to the D-Day events and sang at multiple ceremonies to mark this important occasion. 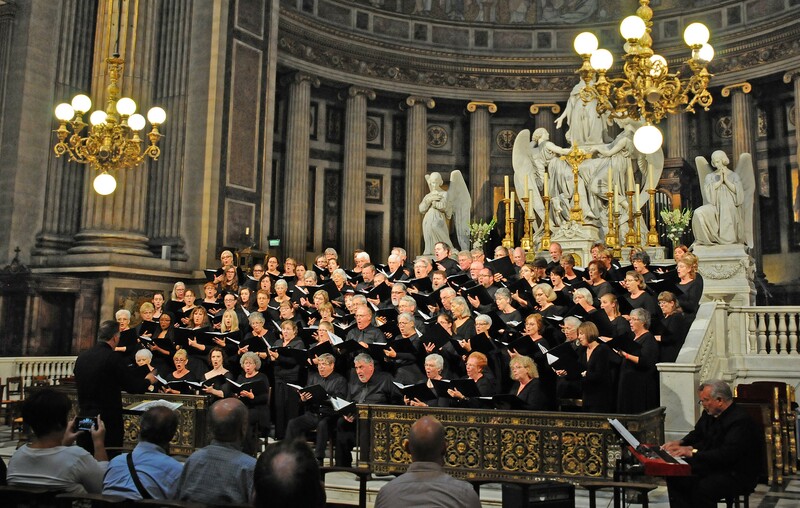 The choir performed at the Liberation Ceremony and D-Day Commemoration Parade in Saint Mere Eglise (the first town liberated by American troops after D-Day), the Brittany American Cemetery in St. James, the Normandy American Cemetery near Omaha Beach, and the La Madeleine Cathedral in Paris. Few people are provided a tangible way to show respect for our veterans’ service and to dignify their sacrifices that preserved our freedom. We are honored and humbled to have been given this opportunity.